This FRESH WATER Hunter 38 that sleeps 6 is a Glenn Henderson design. She is equipped with the Mariner Package and has many 2017 - 2018 upgrades to include: SS rigid lifeline railing, extended offset anchor roller, new Rolls AGM house battery pack, new starter battery, Xantrex 100 amp charger, 100 amp alternator, new Highfield aluminum double floor, new full vinyl enclosure, fully refurbished dodger and bimini with new vinyl, new V-berth mattress, custom built woodwork additional storage and cabinets. This Hunter comes with her own custom made aluminum cradle, 2015 Highfield 290 double floor aluminum dinghy with 2005 5 hp Bombardier outboard motor. United Yacht Sales New Jersey would love to guide you through a personal showing of this 38' Hunter 38 2006. 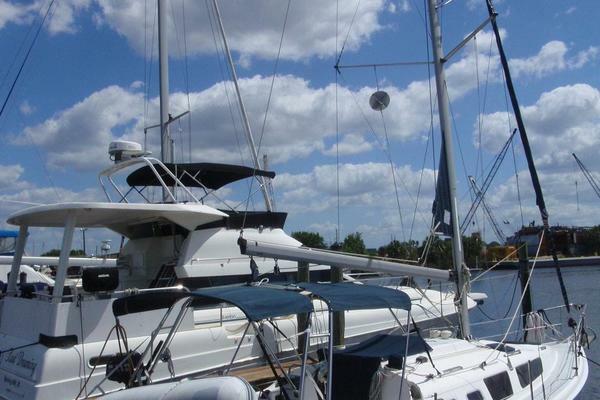 This yacht for sale is located in Plattsburgh United States and priced at $118,900. For a showing please contact us by filling out the form on this page and we will get back to you shortly!